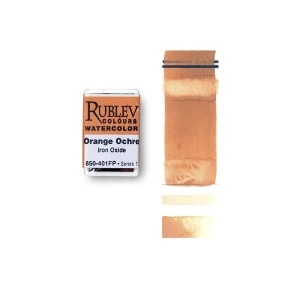 Details Rublev Colours Orange Ocher is a semi-opaque ochre with good tinting strength. It is an ochre from the last remaining European company operating the ochre deposits in the French quarries in the heart of the Luberon Mountains, the ochre country. 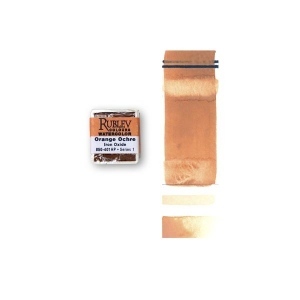 Note: Some separation of pigment and medium may occur in Rublev Watercolours and is a natural process when no stabilizers are added to paint to prevent this from occurring.